This fall marks my 10th year doing yoga. It is with sweetness I look back on the last 10 years and see how much I’ve grown as a human and a yogi since those first days walking into a local gym’s yoga class with trepidation and insecurity. I remember being scared that everyone was going to look at me weird because I couldn’t touch my toes, or that I was going to do something stupid or annoying to my other classmates without even knowing. 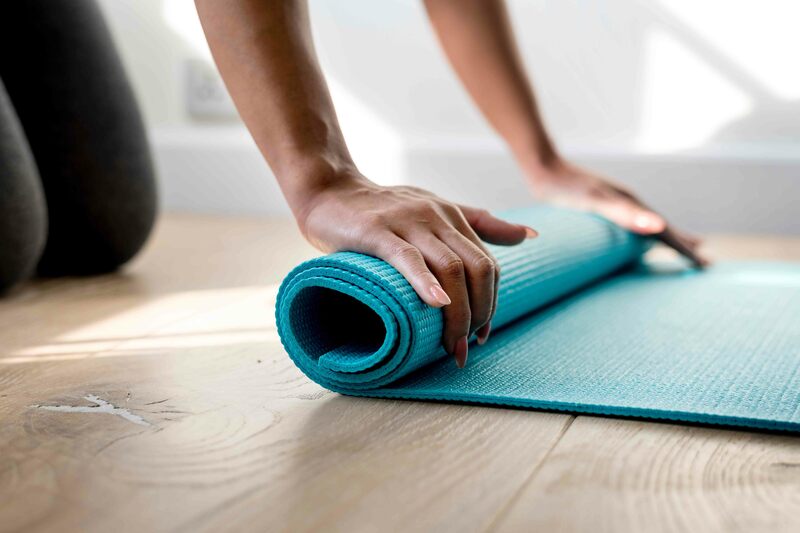 It is always intimidating trying something new, which is why I have collected a list of things to remember when you go to your first yoga class. Whether form or loose fitting, it is important that you can spread your legs and arms wide. If you do opt for loose fitting be mindful that you will have your head below your waist in downward dog and similar poses throughout your practice and it would be more comfortable that you tuck in your shirt at the beginning of practice. Also, keep any dangly jewelry at home so it doesn’t distract you as well. 2. Bring a hand towel. 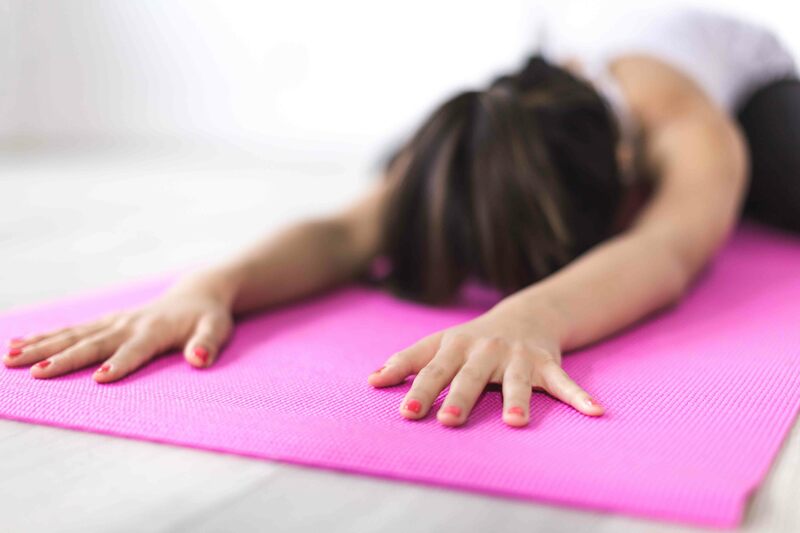 If it is a slower, restorative yoga practice you may not need the towel, but it is always good to have one folded at the top or side of your mat in case you need to wipe your forehead or if your hands get sweaty. If your hands get sweaty you can lay it outstretched on the front of your mat so your hands don’t slip in downward dog. Hand towels can also be used as straps to help you touch your hands in binds or your toes in seated forward folds. 3. Bring a couple of spare dollars to rent a mat if you don’t have one. If this is your first yoga class you don’t need to invest in a yoga mat yet. The majority of studios offer yoga mat rentals for a couple of spare dollars. Once you are hooked to your yoga practice invest in a mat. Mats cost anywhere between $15-$100 so ask around (your teachers, your classmates) to see if they have any recommendations on brands and materials. Personally, I like Jade yoga mats featuring organic rubber, because my hands and feet don’t slip on them—they run about $80, so like I said, this is an investment that can be made after you have committed to your practice. 4. You’ll be taking your shoes off at the door. Be aware that you will be leaving your shoes by the door or outside the classroom. If you feel uncomfortable without your shoes bring socks for your walk into class, but you will want to be barefoot during class for grip and balance on the yoga mat. Also, you will likely be leaving all of your belongings like your wallet, keys and jacket outside the room as well, so leave your valuables at home. 5. Grab two yoga blocks as a beginner. 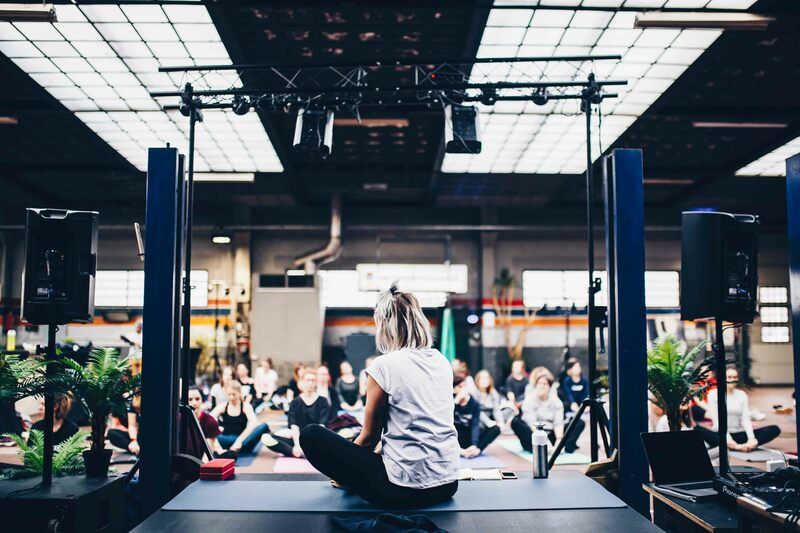 Most yoga studios have yoga blocks (shape of a brick in wood, cork or foam) somewhere in the room you will be practicing in. Grab two as you are setting up your mat in the room. One can be used to sit on in crossed leg positions so that your knees can point downwards. Both can be used with each hand at the top of your mat during standing forward fold (they basically bring the ground closer to you). Set them up at the top of your mat on either side for easy access. 6. Repeat “Namaste” when it is said by the teacher. Namaste means “The goodness in me salutes the goodness in you”. It is a call and response so it is custom for students to repeat it when a teacher says it at the close of the class. This is a custom that isn’t used in every class but is a head scratcher for those new to class. Now that you know what it means, you are on the inside! 7. Don’t step on people’s mats. Yogis can get a little territorial about their mats. Avoid stepping on anyone’s mats at the beginning and end of class as a sign of respect and cleanliness. You are new, and no question is a dumb one. Yoga can intimidate because there is a different language that is used (Sanskrit) for some of the pose names as well as movements not made in any aerobic or traditional gym class. It will soon become second nature to you, but please, if you have a question, ask the teacher. The teacher will have had a minimum of 200 hours of teaching certification and is there to support you—ask them. It is also a smart idea to mention to the teacher when you are signing in that you are new to class so he/she can keep an eye on you and give you the support you need as a beginner. 9. Child’s pose is the default if you find yourself winded or overwhelmed. I have been practicing yoga for 10 years now, and I still take child’s pose out of sequence when I need to catch my breath, or just take a moment. There is no shame in it. Everyone does it. It is your first class so become familiar with this pose if you get confused or overwhelmed. It will help center you. 10. Find a spot in the middle of the room so you can see the people around you as you practice for guidance. Making sure you see the teacher if he/she has a mat set out is important too. Some teachers will show the postures prior to your flow so it is vital to view the instructions. There is going to be a lot of unfamiliar things happening in your first class and you will need the visual cue of what to do next from your neighbors, and that is okay and necessary until you understand what pose names mean what poses. 11. No one is judging or looking at you as much as you think. Practiced yogis come to the yoga studio in a practice of devotion. 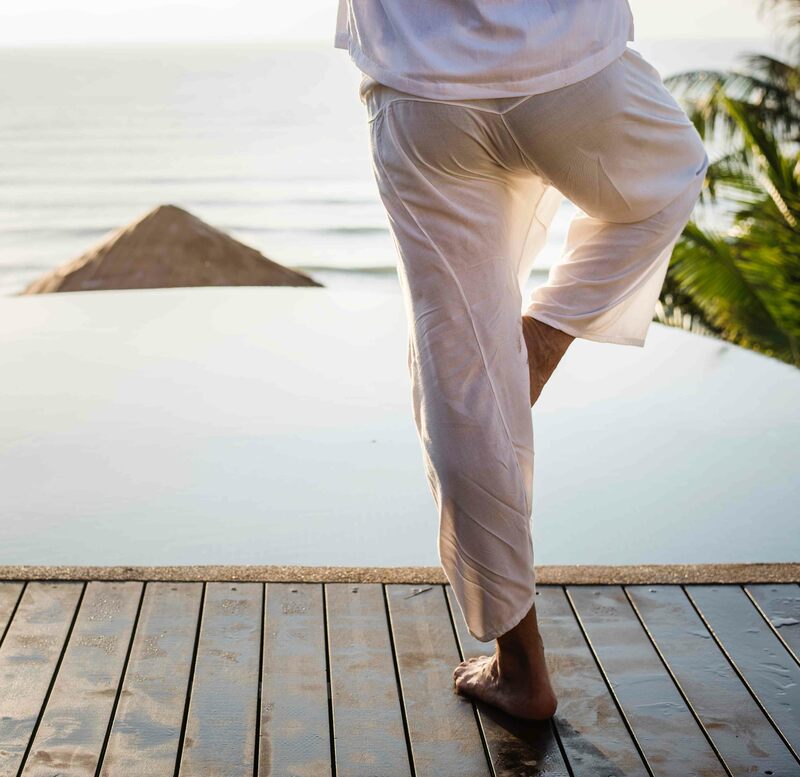 The practice of yoga is about self-awareness so while it might be easy to compare yourself to the yogis around you, in time you will learn that they are focused on themselves, and you will soon be focused on yourself too, once the practice becomes more routine and intuitive. Bonus Tip: In yoga you are always a beginner. Something you learn in yoga over time is that you are always a beginner. There is always a way to progress or fine-tune a posture. It’s all about the journey when it comes to your yoga practice. As you first start out, it might be wise to try out a few different teachers to see what style of yoga or teacher’s style resonates with you. Every yoga teacher teaches a little different so changing up your teachers is a journey in and of itself. Enjoy your first yoga class. Namaste!